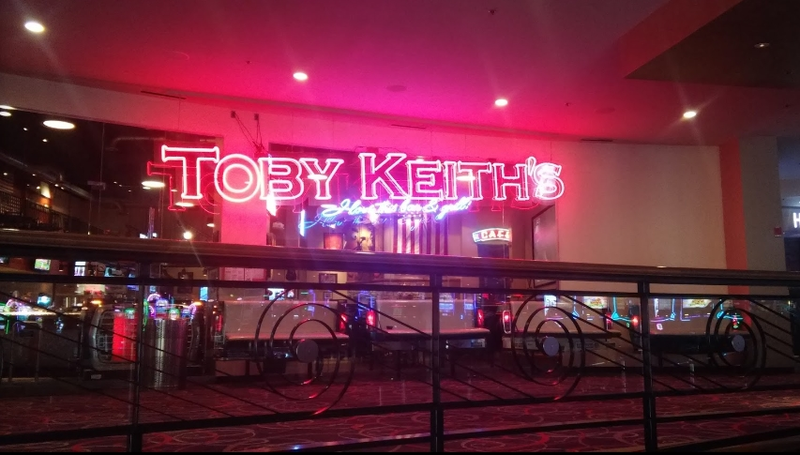 We maintain the windows for Toby Keith’s Bar and Grill on a biweekly basis. Every two weeks we clean the interiors and exteriors of the front windows. They tend to get really smokey seeing the restaurant is located in the smoking area of the Hard Rock Casino. Kids also love to play around the mock pickup truck tailgates that you can see in the picture above, so there fingerprints inevitably end up on the glass behind those tailgate seats. As you can imagine, hard Rock Casino has a fast number of cleaning employees who clean everything from the floor to the slot machines and everything in between. Nearly every time I clean the windows at Toby Keith’s Bar & Grill, someone from the Hard Rock cleaning crew compliments me on how clean the windows look, and without fail, they asked what kind of cleaning solution I use. My reply is always the same. “Thank you! I use Dawn dish soap and water.” One of these days, one of these cleaning employees will relay the information up to management at Hard Rock, and they’ll start using dawn dish soap/water and a squeegee to clean the windows at the front entrance of the Hard Rock Casino and Hotel. I’m a pretty tall and thin guy which comes in handy at this job. I don’t know that there are many other window cleaners in the Tulsa area who would even be able to squeeze behind those mock truck tailgates. In fact, there’s so little room I have to take off my window cleaning belt in order to squeeze back there. But that’s not all. Once you’re behind the tailgates, you’ve got to be able to bend over all the way to left and right because those windows go all the way to the floor. I think I’ve been cleaning their windows for about five years now. Here’s to five more, and five more after that!